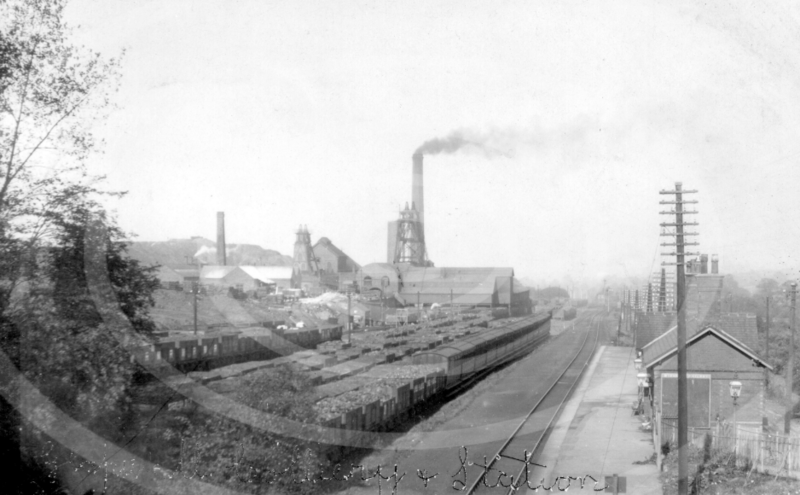 The first of the two local railways to be constructed in the Bolsover area was the Midland railway or originally a branch line construct from Bolsover colliery station to Glapwell colliery station which was completed about 1884. (It later linked up to Pleasley and other collieries via the Rowthorne Tunnel). 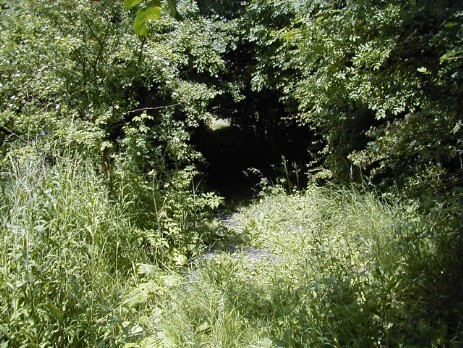 By the 1920's the tunnel at Rowthorne was suffering badly with subsidence and so the line from Pleasley west junction to Glapwell	Midland was closed. (28th July1930). 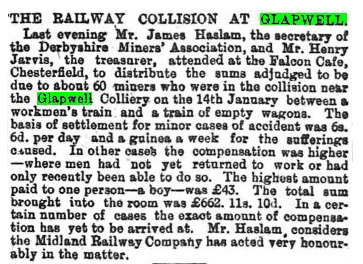 Glapwell colliery to Glapwell	Midland	track removed	30th April 1959. 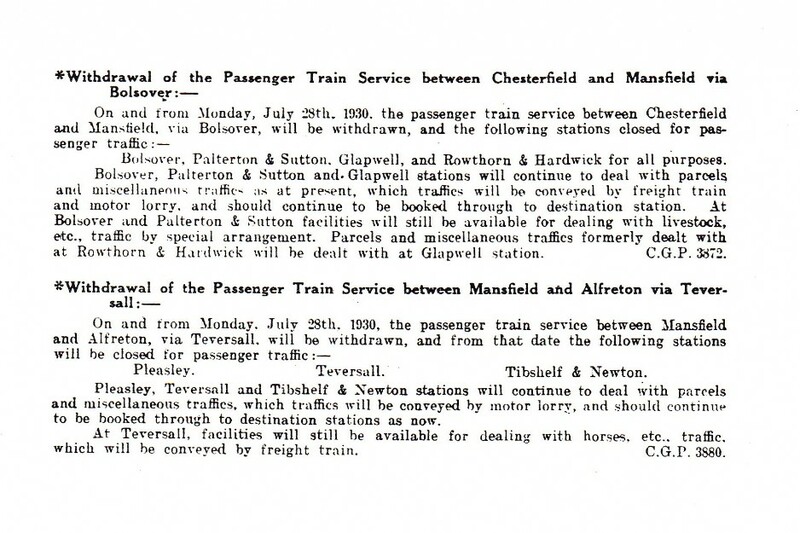 Mansfield to Glapwell Parcel Way Bill & Station Plan. Glynn Waite. Also newspaper cuttings & photographs etc. Many Thanks Glynn. SOME NOTES ON THE DOE LEA LINE by Glynn Waite. 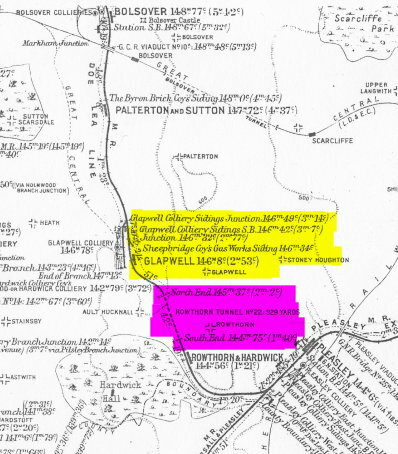 The Doe Lea Branch was opened to mineral traffic in August 1866 and to goods on 10th November 1884, when the line was extended to Glapwell Colliery. So far as the Paddy Mails are concerned, there were services from Dronfield / Chesterfield to Glapwell as well as to Grassmoor. 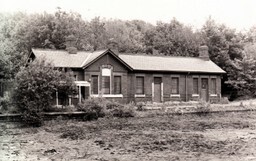 Glapwell station photograph which shows a set of Paddy Mail coaches in the sidings. Copyright Glynn Waite. 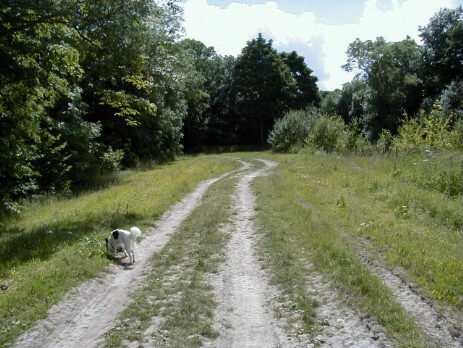 Taken in 2001 but remains very much unchanged. 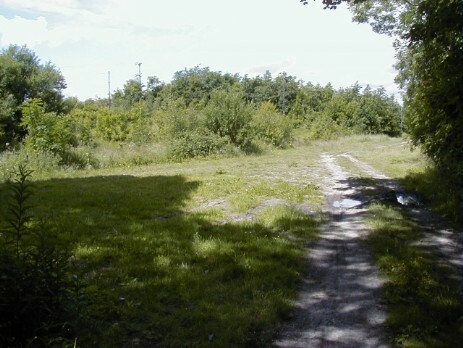 Station site today looking towards the main road. 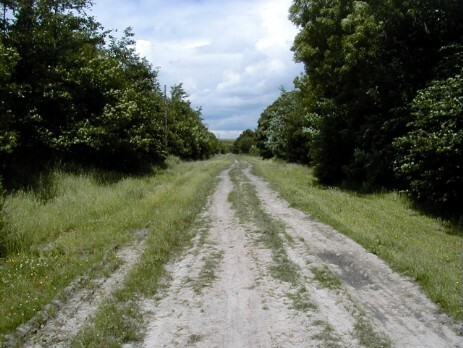 Looking to where the track ran under the main road towards the Rowthorne tunnel cutting. Looking towards the station site. Looking towards Bolsover and Glapwell Colliery sidings off to the left.